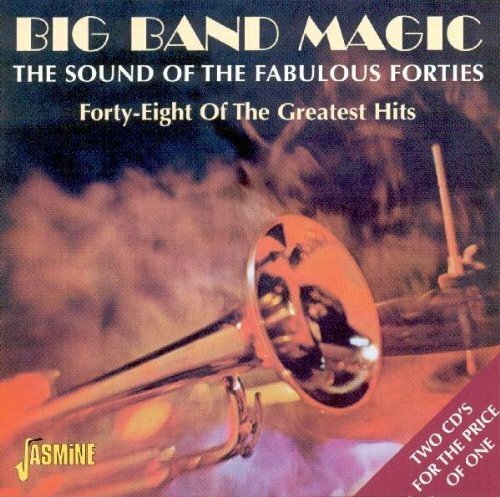 The Big Band era was a unique time in musical history, for it was a time when quality and public taste coincided to encourage memorable performances, many of which were captured on recordings. This collection seeks to recall some of the highlights of those years. Tommy Dorsey acquired the arranging services of Sy Oliver from Jimmie Lunceford, promising him five thousand dollars more a year than her was earning, Kay Kyser reached forty million listeners weekly on his half-hour 'Kollege Of Musical Knowledge' radio programme, Harry James featured an enviable list of superb vocalists, Glenn Miller solidified his popularity with two motion pictures, three girls from Minnesota became the most successful singing trio in history, Stan Kenton replaced veteran singer Anita O'Day with newcomer June Christy, and Artie Shaw took an unexpected vacation in Mexico. The music in this collection reflects much of this activity.